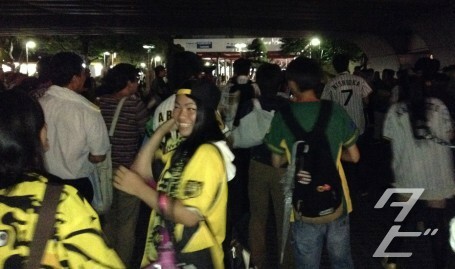 Tubbygaijin.com » Hanshin Tigers Week: Sunday – After a WIN! 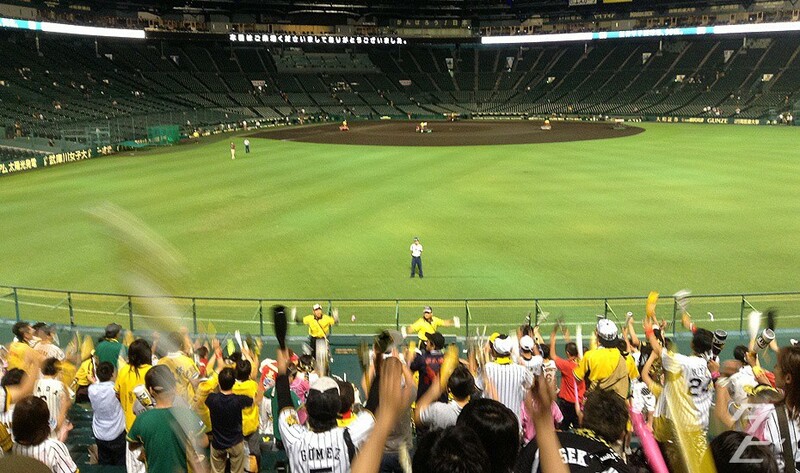 A win at Koshien is a great thing to see, but don’t just head for the door once the game draws to a close, there be celebrations! 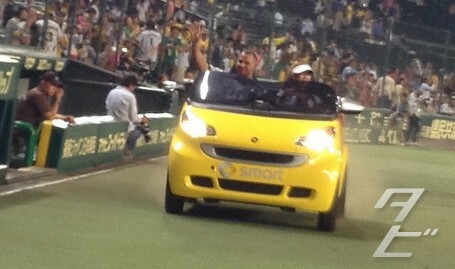 BUT if you’re in the right outfield, hang about! Remember this is the fanatic stand, we stay until very the end! 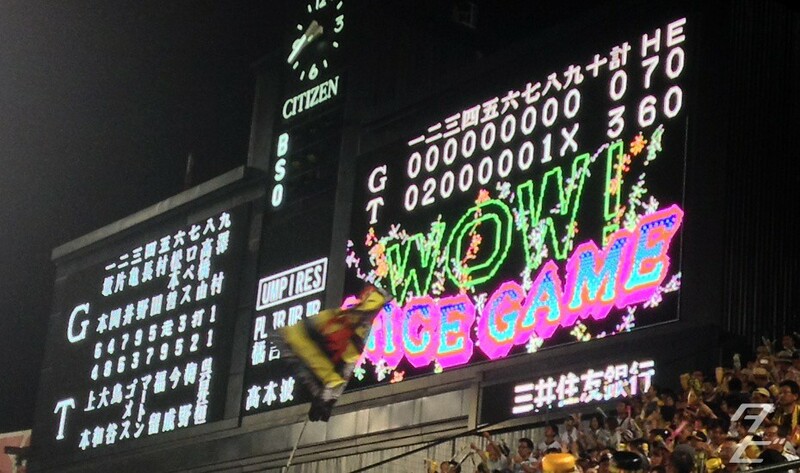 Next it’s customary to do all the player chants, corresponding to the batting order of the day, Wada’s(team manager and ex-player) name usually makes it in there too. Staying right until the end is awesome, seeing the rest of the stadium so empty and celebrating with the diehards is a must! You will get booted out eventually though, so head for the highway at the front of the stadium! Here you’ll catch some of the Tigers Ouendan(cheer squad) celebrating in style, chanting, dancing back and forth – you should most definitely join in! After that it’s probably time to make a move, the train station will still be pretty busy so be prepared for a bit of a wait. 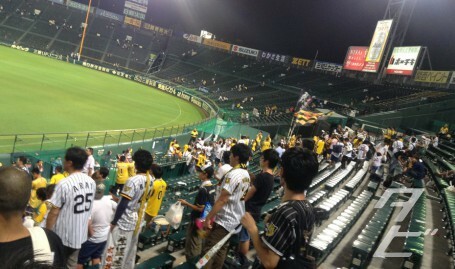 If you’ve been checking out this week’s posts then thanks for dropping by and I hope you get a chance to go to Koshien soon! 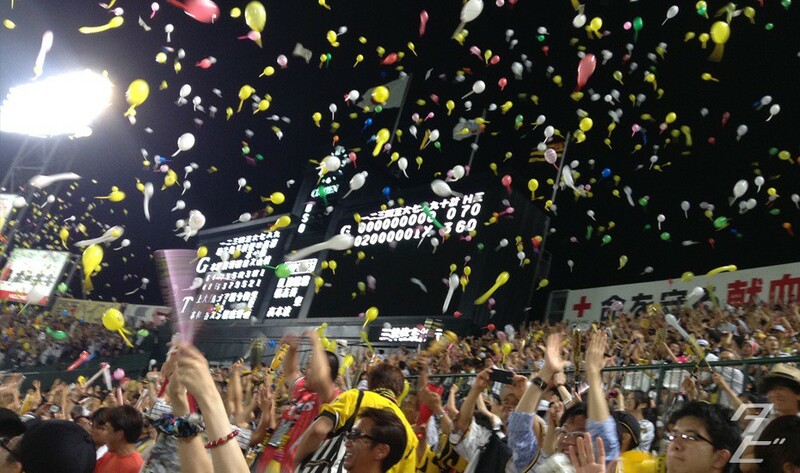 Hanshin Tigers Week: Friday - Apps and Online stuff! 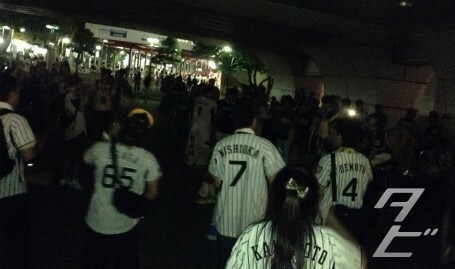 Welcome to Hanshin Tigers Week! The Glico Running Man returns! 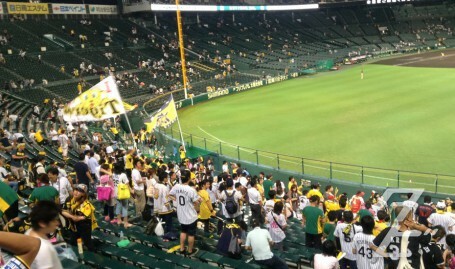 2 Responses to Hanshin Tigers Week: Sunday – After a WIN! 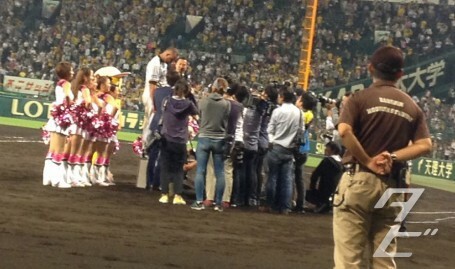 I finally got to finish reading through your Hanshin week posts. Awesome stuff! I might post a link to these on my own blog when the topics come up again. Slow to reply but thanks sir! Glad you enjoyed, keep up the awesome work on your site! I’m still a bit of a newbie so I appreciate the insights you provide. We have to catch a game sometime!